If finding a new job is on your to-do list for 2017, look at the 10 best IT resume makeovers from 2016 to get tips from professionals on how to update your resume. New year, new job? If your New Year’s resolutions include finally brushing up your old resume then you’ll want to look at the Top 10 resume makeovers from 2016. In these tech resume makeovers, our experts helped candidates create more interesting, polished and concise resumes to get the attention of prospective employers. Whether you need to inject more personality into an old resume, update the format or figure out how to keep it concise, these past makeovers will help get you on the right track. Writing your resume should be more than just a detailed list of your skills, experience and accomplishments. While they’re important components to any resume, you want to make sure you present the information in a way that tells your “career story.” In this resume makeover, Jennifer Hay, helps John Kent demonstrate how his 20 years of experience in IT manufacturing makes him qualified for a position as an IT director. Your resume is a professional document, but that doesn’t mean it needs to be devoid of personality. In fact, your resume is a great place to showcase who you are as an employee and what sets you apart from others in your field. In this makeover, Andrew Ysasi helps Joshua Jacobs rework his resume to better reflect his skills and experience as a senior security systems administrator. Jacobs wanted to show he was more than “just another admin,” and illustrate the unique talents he could bring to the table. While tech jargon might be every-day language in your profession, you don’t want a recruiter or hiring manager pulling out a dictionary just to make it through your resume. In fact, it’s more likely they’ll just move onto the next resume in the pile instead. In this makeover series, Donald Burns helped Steve Smith take his tech-heavy resume and turn it into an easy-to-read document that will keep the attention of any recruiter or hiring manager. You’ve probably heard the saying that “you can’t please everyone,” and the same is true when it comes to writing your resume. Instead of writing a document that you think will make everyone happy, you should hone in on your audience and create a stronger focus for your resume. In this resume makeover, Cheryl Lynch Simpson helped JR Hunt demonstrate how his experience and skills as an IT director could translate to a C-suite position. Hunt walked away with a resume that spoke directly to his audience, hit all the right keywords and told a story about how his experience made him best suited for a position in executive management. Even resume rules need to be broken sometimes. It might be as simple as making your resume longer than one or two pages, or in the case of this resume makeover, you might want to include past skills and positions you thought were irrelevant. While some experts will tell you to remove experience older than 10 or 15 years off your resume, Donald Burns knew George Brown’s resume would be an exception. After learning more about Brown’s career, Burns went back 35 years to highlight Brown’s transition from structural engineering to ERP manufacturing. Part of going out for a new job requires selling yourself to a hiring manager or recruiter. That’s why you need to include more than a laundry list of skills and experience on your resume. Andrew Ysasi helped Kristine Spence rework her resume so that it not only showed her qualifications, but also outlined the direct, positive results of her past efforts and accomplishments. It’s difficult to find the line between personality and professionalism when writing a resume, and sometimes all it takes is a fresh set of eyes to look at your career history. Laura Smith-Proulx was that fresh set of eyes in this resume makeover -- helping James Park create a resume that went from practical and functional to interesting and engaging. 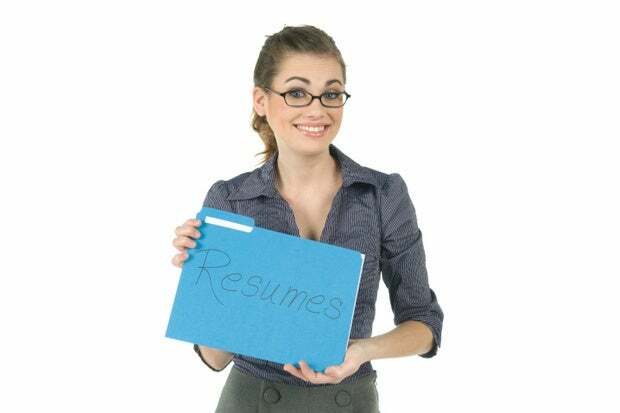 Writing a resume can feel a bit like bragging, which might cause you to downplay your success. But that’s the last thing you want to do on your resume -- in fact, it’s the place you should feel most comfortable to politely brag about your own success. In this resume makeover, Donald Burns helped Alice Gaines showcase her 20 years of experience, outlining exactly how qualified she is for executive management. Not everyone has a clear trajectory up the corporate ladder, but if your career history is confusing, it’s up to you to clearly lay it out for recruiters. In the case of Keith Evans, Laura Smith-Proulx knew she would have to untangle his career history to make it easier for hiring managers to read. She got right to work, expanding his resume past two pages to help Evans build a clearer picture of his storied experience as a CIO. If you’re rewriting your resume to try for a position that is a step up from your current role, you need to get strategic. In this resume makeover, Stephen Van Vreede helped William Torres position himself as a technology leader who would be suited for a CIO or CTO role, despite never previously holding either title. Van Vreede focused on creating a concise resume that presented an “executive image” to any hiring manager or recruiter.